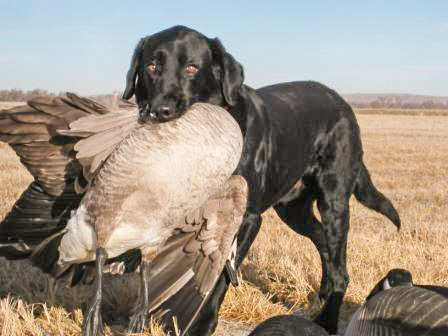 Hopefully you enjoyed hunting with your dog and the gratification that comes from watching a trained dog do his or her job in the field. Over the course of a season, training can be infrequent and it is typical for dogs to get a little loose. Hopefully you have been able to at least do some drill work, in the yard but even that is difficult when we don’t see grass for months at a time. 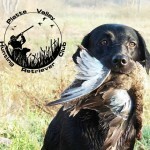 Even though one may try to keep to a high standard while hunting, it is difficult to accomplish. Whistle sits may get loopy and slow and cast refusals are seen with more frequency on blinds. You may see more creeping that you want to and it is typical for marking fall off a little bit, to name a few of ways things unravel a bit. So when training season begins, how do you go about tightening things up? Starting off the training season with a trip mark, requiring your dog to ignore the go bird and run a blind 10 yards off the line to it before they pick up the marks, may not be the best approach. So what do you work on first? You may want to start by working on your walk to the line from the holding blind. Once, you have them doing that well, focus on being steady at the line with short simple marks. You are not working on marking; you are working on ensuring steadiness. Once they are steady, increase the difficulty of the single mark, but you are working on marking, not on memory. You don’t want to be doing doubles and triples if you are working on tuning up your marking. Might want to have multiple gunners in the field, but have them take turns throwing single marks. This will help the dog focus on the mark instead of immediately turning their head to look for another mark. They may head swing at first, but in no time they will be focused only on the mark thrown. You will see their marking improve. Then you can intermingle a double now and then and every once in a while a triple to work on memory but don’t overdo it because they will begin head swinging again and their marking will dissipate if you do. When you are working to improve control on blinds, bird boy blinds may be helpful to get your whistle sits and casting back up to standard. Bird boy blinds are when you have someone in the filed with about 5-10 bumpers and they drop a bumper for a blind without the dog seeing it and walk right or left 10-20 yard. Dog runs the blind. From where the Bird Boy is standing they drop another bumper when the dog is returning to the handler and walks 20 more yards to the left. Dog runs that blind. Repeat 5-10 times. This drill is great for working on loopy or slow sits and cast refusals because you can get a lot of repetition in without breaking down their momentum. Then when your standard is back, you can transfer their improved control to the field with cold blinds and improve their difficulty, without the battle that you would have. Don’t forget the wagon wheel and wagon wheel casting drills, which are great. Don’t be in a hurry. Work on one thing at a time. I hope you find these suggestions helpful.